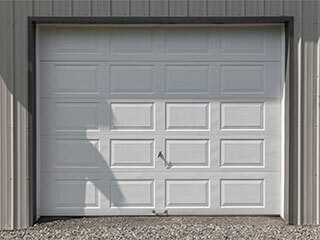 An overhead garage door is a general term describing a garage door that operates by moving up and "over your head", usually parallel to the ceiling. There are a number of types that can fit into this category, the up-and-over door, for example, which opens in a similar way but protrudes out of your garage while doing so. These doors, as do any of the other roll up and carriage garage door types, require professional assistance when it comes to repair, maintenance and installation. That's what our team is here for; to provide you and ever other Moreno Valley resident with the best service around. From replacing damaged panels to repairing malfunctioning openers, there's nothing you can entrust to our specialists. We could start listing out keywords that start with "overhead garage door" and end with a type of service we offer, but we're not here to just be click bait. Our company takes genuine pride in the work we do, and we want to be able to help you with every related need you have. One of the ways in which we are able to help many homeowners make sure their garage door system continues functioning optimally for as long as it can, is with regular maintenance appointments. This service includes a complete inspection for damages of your system, lubrication of the all the appropriate components (such as torsion springs and steel rollers), proper adjustment of the door cables and safety testing of the photo-electric sensors. If any component is found to be either too damaged, or misaligned, it will get repaired or replaced right away. The type of door you get depends on a multitude of different factors. Some homeowners find that they simply prefer an overhead garage door over a roll up one, others may feel the other way. Each type of door offers different levels of insulation and security, and it is always a good idea to consult with an expert before making a purchase. If you need something repaired, replaced or installed by professional technicians, then give our experts at Garage Door Repair Moreno Valley a call today.